Resistors are mainly used to limit current flow in a circuit, but they also function to reduce input voltages. In such a capacity, they take an input voltage and divide it into two or more output voltages that are proportional to the resistance. 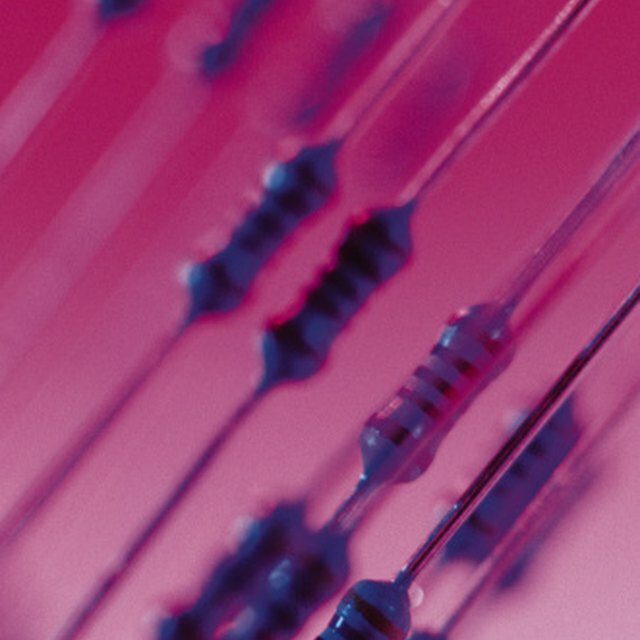 For this reason, resistors are also known as voltage dividers. A resistor is an electrical component that has a current I proportional to a voltage V. The constant of proportionality is R, the resistance. A linear resistor obeys Ohm's Law V = IR. Resistors are added to circuits in series or in parallel. For voltage divider circuits, they are connected to each other in series. Resistors form a series circuit when they are placed side by side next to each other. They all share the same current, but the input voltage is divided among them, dependent upon the value of each individual resistance. The circuit therefore functions as a voltage reducer if an output voltage is used as an input to another circuit or device. To design a voltage divider, you must have an idea of the amount of voltage you need the power source to be reduced to. Once you know this, use the voltage divider formula to design an appropriate series circuit. For a series circuit with two resistors, Vin = V1 + V2. The total resistance is found by adding each resistor directly together. The current I is the same for each of them. Substituting Ohm's Law for Vin yields Vin = IR1 + IR2 = I*(R1 + R2). Therefore I = Vin/(R1 + R2). Combining Ohm's Law with the equation for I above gives Vout =V2 = IR2 = (Vin/(R1 + R2))_R2. Therefore Vout = R2_Vin/(R1 + R2). Vout is a voltage reduction resistor formula more commonly known as the voltage divider formula. Two resistors are in series, with R1 = 10 ohm and R2 = 100 ohm. They are attached to a 1.5-volt battery. To find the output voltage, use Vout = (100 ohm)(1.5 volt)/(10 ohm + 100 ohm) = 1.3 volts. 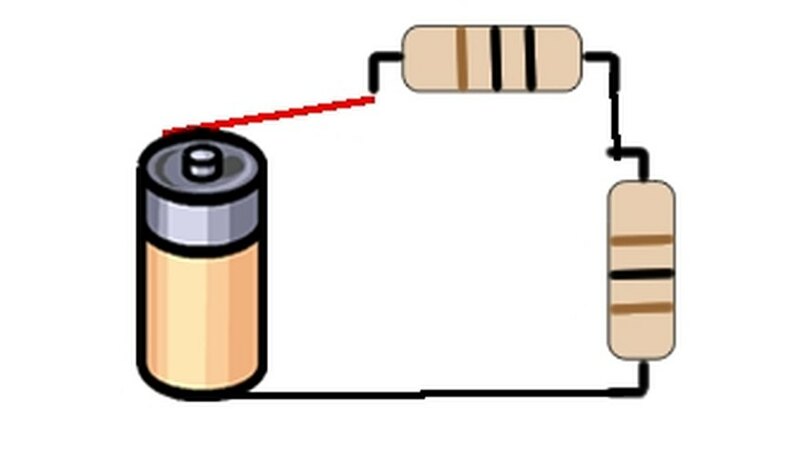 Test the circuit by building it and using a multimeter to measure the output voltage. You are given a 9-volt battery, and you need to have approximately 6 volts coming from the output. Suppose R1 is 330 ohms. 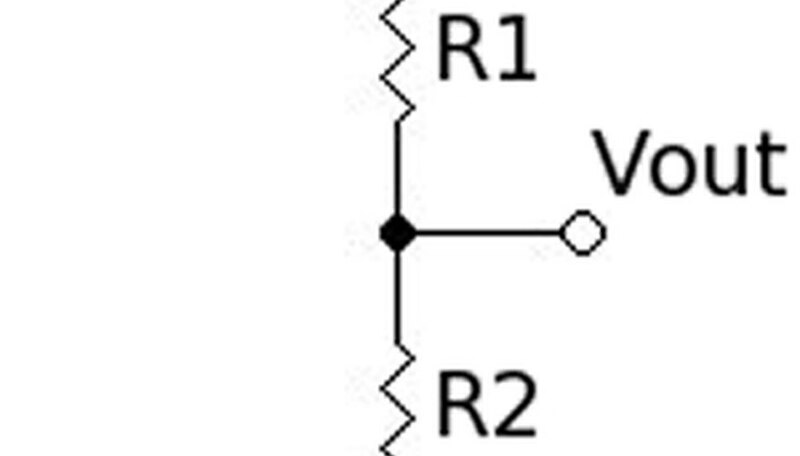 Use the voltage divider equation to find out what R2 should be. Using the formula for Vout, R2 needs to be around 825 ohms. If 825-800 ohms cannot be found and precision is not required, substitute a resistor 10 to 20 percent off the needed value. Use an online resistance calculator to find the resistor values for the voltage divider circuit. All resistors in series with each other share the same current but divide the input voltage. Practice by wiring three or four resistors together and then using a multimeter to measure the voltage across each of them. Lewis, Kim. "About Voltage Reduction Resistor Formula." Sciencing, https://sciencing.com/voltage-reduction-resistor-formula-6170817.html. 24 April 2017.